It's out !! "Space Probe" is out !! I'm listening to it while I'm typing. For the second time in a row. Listening that is. 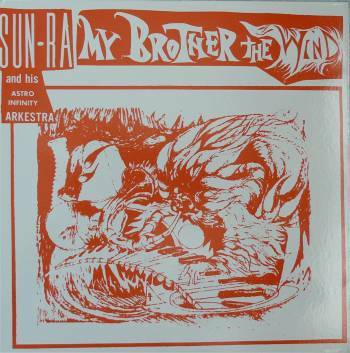 Art Yard has returned with another fine Sun Ra release. This time it's "Space Probe". 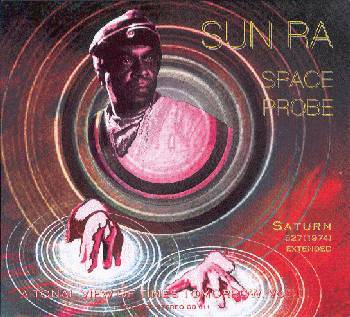 'Space Probe', the title track, has Sun Ra performing on the Moog synth. The title refers to the sound that you hear of the spaceship surveying the land before landing. An extraordinary 18-minute piece. Beautiful. 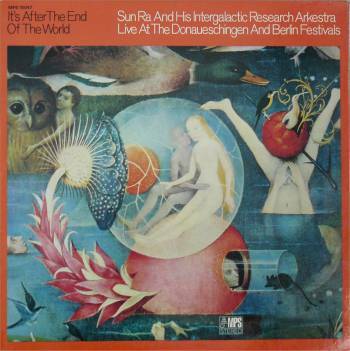 But there's also 'Earth Primitive Earth' with John Gilmore on bass clarinet and Sun Ra and the Arkestra on percussion. Or 'Circe' and 'Recollections Of There', featuring Thea Barbara on vocals. Or 'Destiny' which is an experiment with sounds and echoes. Paul Carr is an academic at Glamorgan University. He writes on topics such as Frank Zappa, guitar, musicology, popular music education, and the current state of the modern music industry. "I eventually got the contract for my Zappa edited collection this week 'Zappa and the And: A Contextual Analysis of his Legacy'. If everything goes to plan, it will be released toward the end of 2012." 1/28/2011 - New York, NY - Project/Object continues their mission of performing Frank Zappa's music with a rotating lineup of Zappa's most beloved band members. On this tour the band will be joined by alumni Ike Willis and Ray White, and at selected gigs, Denny Walley, Don Preston and Bunk Gardner. Project/Object's collaboration with these legends is a testament to the bands desire to present Zappa's music as it was recorded and performed live, while also developing creativity in live performance. Frank Zappa is one of the Twentieth Century's most important composers. His effect on the modern music landscape is undeniable. Formed in the early 90's, Project/Object is on a mission to bring this music to the masses by faithfully recreating the live Zappa experience - with the people who were integral to Zappa's classic sound. In every new market they visit, Project/Object pleases the Zappa connoisseurs and converts the curious into dedicated fans. The confirmed dates and alumni appearances for the 2011 fall tour are below. Information on the band, specific dates, and where to buy tickets at http://www.projectobject.com/. Ty Citerman on guitar, Adam D Gold on drums and percussion, Eric Rockwin on various bass instruments, and Ken Thomson on various saxophones and clarinets. That's four musicians, but also four composers. "Flock" is album number five for the New York based RIO / avant-prog / progressive rock band. Gutbucket has been around for about 12 years and with each album, they have been pushing the envelope. 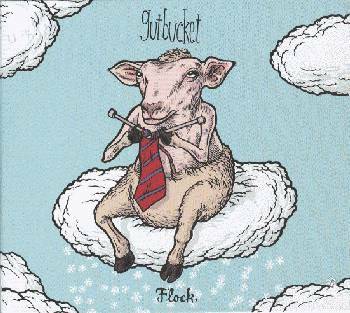 With "Flock", Gutbucket has produced a very powerful, challenging album. On the Cuneiform label, it says "Assimilating contemporary classical, free jazz, mathy art rock, and more." If you're into The Muffins, Doctor Nerve, Flat Earth Society, or Mats and Morgan, this one will be on your wishlist. Due out on February 22. Released on Cuneiform. 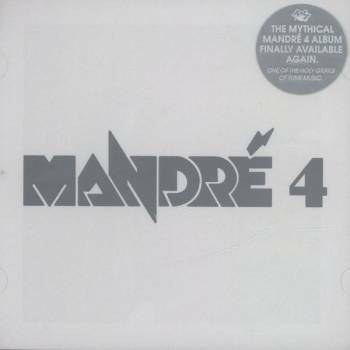 Distributed in the BeNeLux by Mandaï. A superb album (with great artwork). 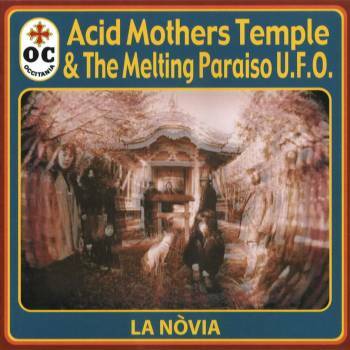 Last week, I got two Acid Mothers Temple albums as a gift. Wowie Zowie !! & thanks again. Reason enough to add a bit of data to the (immense) AMT discography. 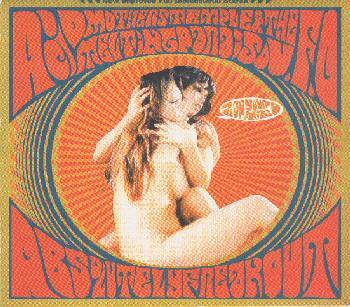 November 2008, Acid Mothers Temple toured Europe with Stearica. Last month, german Homeopathic Records released a recording session of AMT & Stearica on CD. And british Robot Elephant Records released it on a double 12" vinyl record. Doctor Nerve is scheduled to take part in the next edition of the Zappanale Festival !! STEVIE WONDER AND FRANK ZAPPA ? Here's a fine question that I received from Pete Tutak. Unfortunately, I don't know the answer. In the liner notes of Stevie Wonder's 1976 Album "Songs in the Key of Life", Frank Zappa's name is on the list of people Stevie Wonder wishes to thank and acknowledge. Matt Koegler was credited by Frank Zappa for coining the phrase 'Mothers of Prevention' on the 1985 release 'Frank Zappa Meets the Mother's of Prevention'. "The title really sort of just came out of my mouth. By coincidence, I was sick on the day of the Senate hearings and stayed home from work. The entire thing was broadcast on C-Span that day and since Frank was testifying, I decided to watch and record it. That night when everyone came over for rehearsal (I lived in the Band House) we watched it. At some point, Frank used the phrase 'Washington Wives' in his testimony and I said "Yeah, the Mothers of Prevention" and we got a good laugh. A few weeks later I wrote to Frank requesting a Z-Pac (info on the ratings issue, still have it somewhere) and I opened the letter with "Dear Mr. Zappa: First, thanks very much for standing up to The Mothers of Prevention.". Frank apparently thought it was funny and used it as the next album title. I received no notice of this, I discovered it while standing in line and reading the credits on the back of the album (this was the last vinyl release of new material before all new releases came out on CD). I called 818 PUMPKIN and thanked them, Frank wasn't in the office at the time, but they said a thank you to me on that weeks answering machine recording (I still have that as well). I was supposed to meet him at the show in New Orleans, Louisiana during the 1988 tour, but that was to be on the 3rd leg of the tour which never happened. I never bothered him about it again, just continued to purchase the music and turn others on to it." 1/26/2011 - Los Angeles, CA - Don Preston and Bunk Gardner, both original members of the the legendary Mothers of Invention with Frank Zappa, are gearing up to tour east coast once again with The Don & Bunk Show. The duo will be playing a full range of Zappa's music from Freak Out to Zoot Allures. The evening will be full of the zany antics, wild improvisations and strange electronic music the early Mothers were famous for, along with the expert mastery of their instruments. "We're doing this tour because I think Zappa fans need to come and hear how Zappa's music was performed by the originals," says Don Preston. "Hey people! We're still doing it!" Bunk Gardner and Don Preston are featured on several albums with the original Mothers of Invention (along with various later compilations of unreleased material by Frank Zappa) which include Absolutely Free, We're Only In It For The Money, Cruising With Ruben & the Jets, Uncle Meat, Burnt Weeny Sandwich and Weasels Ripped My Flesh. Gardner also appeared on Zappa's first solo venture Lumpy Gravy, while Preston went on to appear on several albums after the break-up of the original Mothers, which include Fillmore East, June 1971, Just Another Band From L.A., Roxy & Elsewhere as well as the feature film 200 Motels. The Don & Bunk Show started in 2001 with the duo wanting to show audiences their unique abilities that were revealed in Zappa's first band. Gardner and Preston have both been long known for their amazing inprovising abilities and interpretation of Zappa's music. They have recorded two CDs for Brain Records: Ahead Of Their Time and Joined At The Hip. Bunk has also recorded and/or performed with the Cleveland Philharmonic Orchestra, Geronimo Black, Tim Buckley, The 4 Winds Ensemble, ANT-BEE and many others. Don Preston has recorded/performed with the Los Angeles Philharmonic, Gil Evans, Carla Bley, The Residents and many others. He has also completed 23 film scores including Apocalypse Now. Don Preston was quite possibly the first person to add synthesis to live rock performances, taking Frank Zappa's Mothers of Invention into uncharted musical territories over several tours and albums. Today, four decades after having built "analog synthesizers" from scratch before most people had heard of such things, Preston is a living legend and a pioneer who now tweaks synths on his Apple laptop. He has a new download only CD titled 'Colliding Galaxys' released on Norway's Zonic Entertainment. Some of the songs the duo will be performing are: Uncle Meat, A Pound For A Brown On The Bus, Holiday In Berlin Full Blown, I Am The Slime, Duke Of Prunes, Eric Dolphy's Memorial Barbeque, Who Are The Brain Police and many other beloved Frank Zappa compositions. 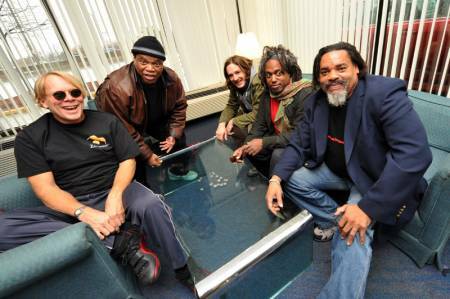 A special date with Project Object is scheduled for Feb. 22, 2010 at the Mexicali Live in Teaneck, NJ, which will also feature Zappa alumni Ray White and Ike Willis! 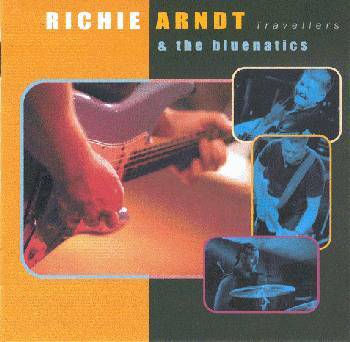 German bluesrock band Richie Arndt & The Bluenatics recorded Frank Zappa's 'My Guitar Wants To Kill Your Mama'. The track got released on their "Travellers" album. There's 14 tracks on "Travellers". 12 of them are composed by Richie Arndt and / or The Bluenatics. One was written by Janis Joplin ('Move Over'), and then, of course', there's the Zappa classic 'My Guitar'. I hear different influences on this album: B.B..King, Carlos Santana, Stevie Ray Vaughn, ... It's a nice mix of ballads and more powerful songs. The Zappa songs sounds good. Nice playing. Nice arrangement. Like it. PETER SELLERS – Wouldn’t it be loverly? 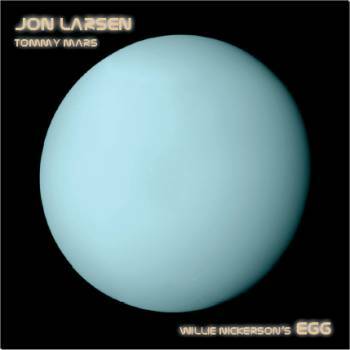 "Willie Nickerson's Egg" is a short story, written by Jon Larsen. It was put to music by the one and only Tommy Mars. On this recording, Tommy Mars performs the music, and narrates the story. It also features guest musician (on bass and sound engineering) Arthur Barrow. Every now and then, you listen to a record and you just have to tell everyone how great it is. "Too Big To Fail" is such an album. 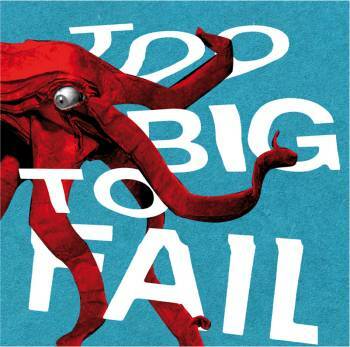 Swiss tentet Fido (or FidoPlaysZappa as they're also called) recorded "Too Big To Fail" in the spring of 2011. Contrary to their previous albums, TBTF got recorded in the studio. And that's not all. The band opted for an acoustic approach. The choice of compositions is excellent and the arrangements and the performance are stunning, to say the least. The album opens with the famous 'Yellow Snow' / 'Nanook' / 'St.Alphonzo' / 'Father O'Blivion' set. Brush-like drumming, guitar and double bass playing in the 'Yellow Snow' riff in unison, laid-back vocals, jazzy horns behind it, the great sound of the marimba, and that's just the first ten seconds... Beautiful. The tone is set. Next up is 'Catpostrophe', a free jazz piece. Short and powerful. Nice. 'Black Napkins' takes us back to the Zappa repertoire. Dave Blaser performs the melody line (& a nice improvisation) on trumpet, backed by the rest of the band. One of the saxes jumps in, and makes this one of the best tracks of the album. 'Camarillo Brillo' gest an up-tempo country treatment, while 'Sofa no.2' is performed on the trombone. 'Dupree's Paradise' and 'Let's Make The Water Turn Black' are two more highlights. 'Dupree's' clocks at one minute and twenty seconds but the band displays the beauty of this composition in all its facets. The album continues with 'Montana', another laid-back jazzy tune. Love the piano, and the trombone!! 'Colonia 4711' is a solo piano piece. It starts as an open, spacy piece, and slowly turns into a great intro for 'Eat That Question', which, for me, is the highlight of this album. A great arrangement of a superb composition. 'More Trouble Every Day' is another beauty. Pascal Grünenfelder's double bass stands out in this tune. Another great arrangement & performance. Last, but not least, are 'Basle III' another free jazz piece, 'What's New In Baltimore' (Steff Strittmatter on guitar and Oli Friedli on piano !! ), and the finale: 'Musician's Salary' a 16-minute contemporary composition / improvisation. Acoustic, jazzy Zappa. You really need to hear this. 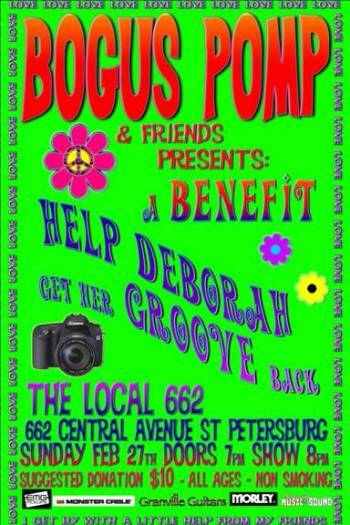 Bogus Pomp (& Friends) will be performing a benefit concert to help replace Deborah's stolen photo equipment. Deborah is Jerry's girlfriend and her equipment & all her digital photos from the last 8 years were stolen a few days before Christmas. So join Bogus Pomp and Friends on Sunday the 27th of February at 'The Local 662' in St.Petersburg. Two new names have been added to the line-up for the Mosae Festival. 2011 05 06 - 07 "Mosae Zappa Festival"
with two new UK dates !! True it looks kind of weird, without the sound, but maybe some Zappateer can fix that? 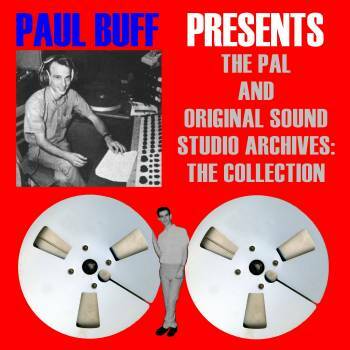 I already mentioned the "Paul Buff Presents The PAL and Original Sound Studio Archives" collection that Crossfire Publications is making available in wav format. Release data have been added to all the included artists. 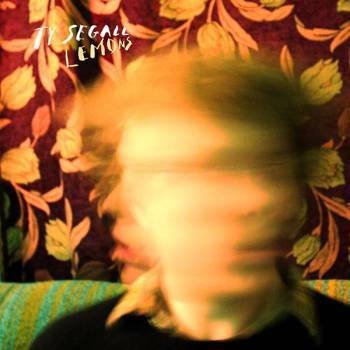 I mentioned Ty Segall's "Lemons" album a little while ago, because he recorded Don Van Vliet's 'Drop Out Boogie'. As I was finally able to give the album a listen, I'll gladly tell you a bit more about it. This is low-fi garage rock. Sounds unpolished and very straight forward. No nonsense. Guitar, drums and vocals. Just twelve short tracks (something between 2 and 3 minutes each). Ty Segall's version of 'Drop Out Boogie' is nice. Clocking at two minutes, you get an up-tempo version, a distorted voice and very energetic drums & guitar. -- thanks to Nikolai Z. Here is the program for the Yellow Snow Festival that will be held in Larvik, Norway, in a couple of weeks. Over at the Art Yard label's blog, there's quite a bit of info to be found on the 'new' Sun Ra album. 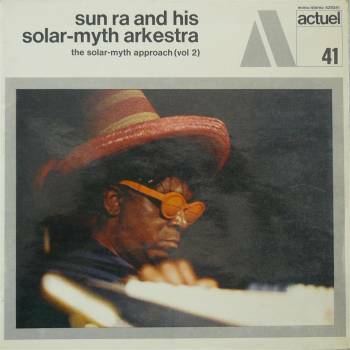 Recorded in august 1969, it was Sun Ra's first recording with the Moog synth. Morgan Agren contributed to Simon Steensland's "Fat Again" album that got released last year. Earlier last week, Greg Russo announced that he is offering the complete Paul Buff Series in wav format !! Pretty impressive. And you get 56 (!!) bonus tracks that were not part of the original series. During 2010, Crossfire rolled out 35 download volumes (a total of 417 tracks) from Paul Buff's archives of Pal and Original Sound recordings. Many of you wanted lossless files rather than MP3s, so we've gone and done it! After more than four years of meticulous work, we are proud to present Paul Buff Presents The Pal And Original Sound Studio Archives: The Collection. We're offering the entire 35-volume set of recordings as WAV files along with a large, 138-page PDF featuring Greg Russo and Paul Buff's historical liner notes, photos and credits. The whole thing comes on a flash drive. Of course, all of the tracks that feature Frank Zappa as a performer, writer, producer or engineer are part of this set. Not only that, you also get 56 bonus tracks (two featuring Zappa) that were not part of the series. All of these bonus tracks were discovered and/or remastered after the series was completed, and you have to buy the entire set to get them. The price for Paul Buff Presents The Pal And Original Sound Studio Archives: The Collection (a total of 473 tracks) is $350 US for the flash drive (including shipping). Ordering and payment can be made via the ordering page's PayPal link. With your order, Paul Buff's Collection will be in your collection! Ugly Radio Rebellion's Scott Schroen (guitar & vocals) has cancelled all scheduled gigs. He is planning an open audition for URR on Sunday 2011/03/13 at Sam Ash Music - Atlanta, GA.
Wanna play some Zappa music? I received this album last week, and I've been playing it ever since. 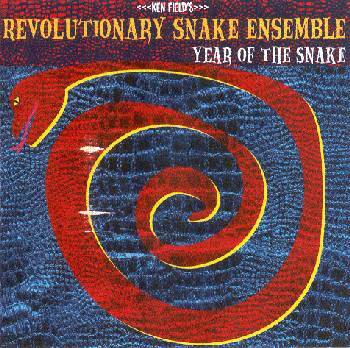 The Revolutionary Snake Ensemble is led by alto sax player Ken Field. It's a costumed, experimental funk/street beat / improvisational brass band, performing both original and traditional music. The band got formed in 1990 and has quite a reputation performing at festivals, parades, fairs, etceteras (they have even done concerts during train rides). The RSE has also released two albums: "Year Of The Snake" in 2003, and "Forked Tongue" in 2008. "Year Of The Snake" is a very impressive album. It has all the energy of a New Orleans brass band compressed on one little silver disc. This is jazz. This is funky. The RSE combines an impressive rhythm section with an excellent brass section! No wonder that the ensemble includes their version of James Brown's 'Soul Power' and Sun Ra's ''A Call For All Demons' on this album. They fit in just perfect. I've included two YouTube movies to give you an idea of what the RSE sounds like. The first one is one that you might have heard before. It's "Parade of Numbers" from Sesame Street, with music by the Revolutionary Snake Ensemble. The second one is from a concert. Zappa-esque music from Norway !! Jono El Grande has a new album out. 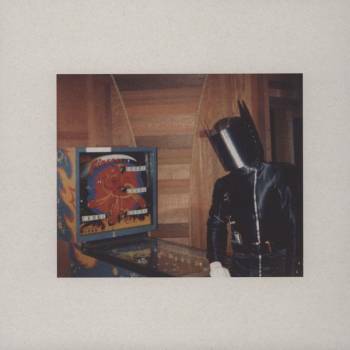 It's called "Phantom Stimulance" and it got released on Rune Grammofon. 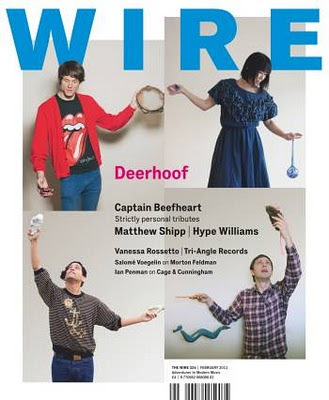 The February issue of THE WIRE (#324) features a couple of Captain Beefheart tributes, including a comic strip by Savage Pencil, a poem by Byron Coley and some insider Magic Band knowledge from Gary Lucas). After last year's "The Shadows Cast By Tomorrow", Jazzman Records released another triple vinyl 7" set. It's called "The World Is Not My Home". 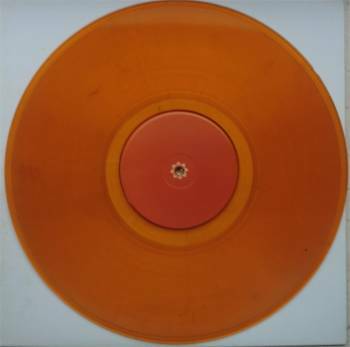 Limited edition of 999 copies, and released on clear vinyl. 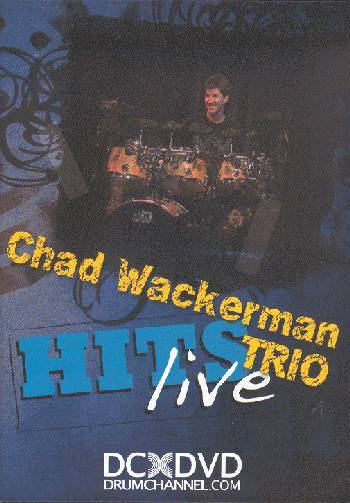 The latest Chad Wackerman album is a DVD. Featuring Mike Miller and Doug Lunn. Haven't heard or seen the actual album yet. Just added data to the U.M.Archives. 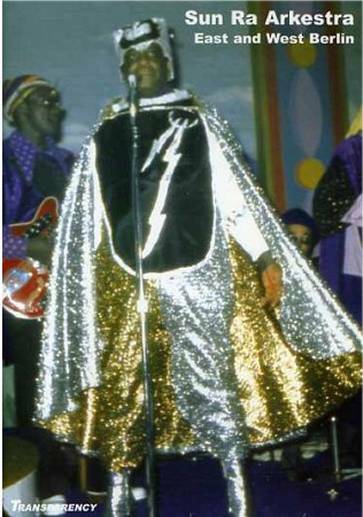 January 14, New Orleans radio station WWOZ did a 5 hours Sun Ra special. I finally added the data for this excellent album. Released in 1966. Recorded by Al Kooper Blues Project plus Sun Ra and his Arkestra !! 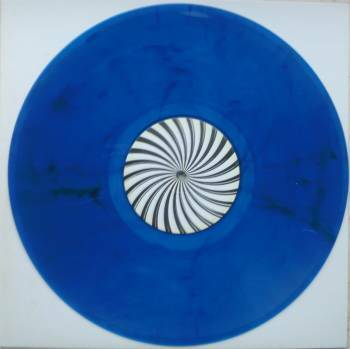 Re-released in 2001 in Italy on the Universe label. This one will make you happy. 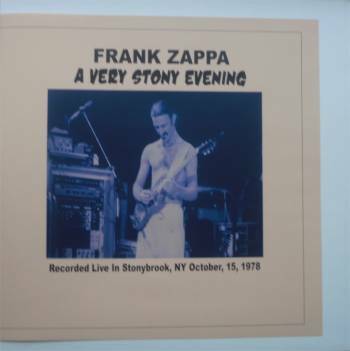 "A Very Stony Evening", a new Zappa vinyl bootleg, has been issued in different vinyl colour variations. Here are the pictures of the blue and the gold edition. I definitely wanted to add the fifth and most recent Beardfish album to the United Mutations Archives today. It completes the entry. 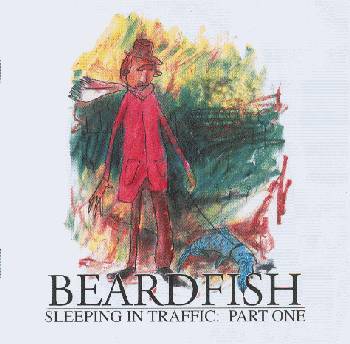 "Destined Solitaire" adds a nice amount of Zappa and jazz into the eclectic Beardfish prog rock mix. The album presents 9 tracks and lasts about 77 minutes, which should give you an idea of the average lenght of the tracks. And that means: nice instrumenal sections! 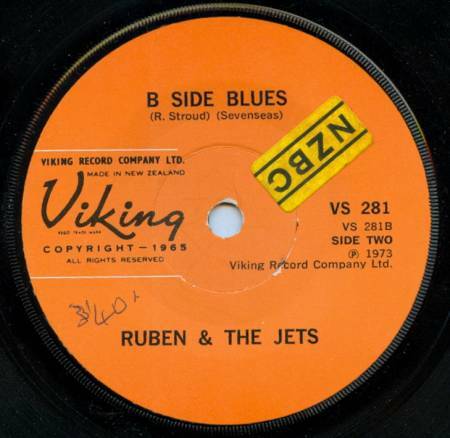 RUBEN & THE JETS, A BAND FROM NEW ZEALAND ? I received pictures of the bizarre item from Hans-Peter Schmidt. 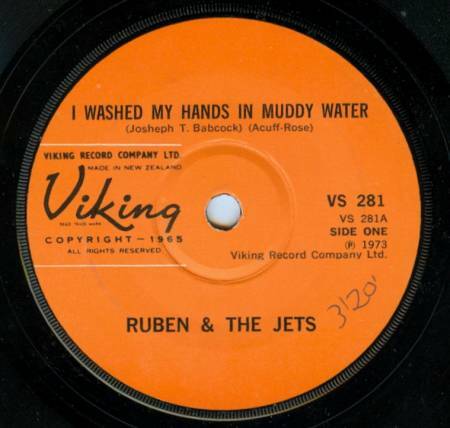 It's a 7" from a band called Ruben & The Jets. Click on the picture if you don't get the complete picture. 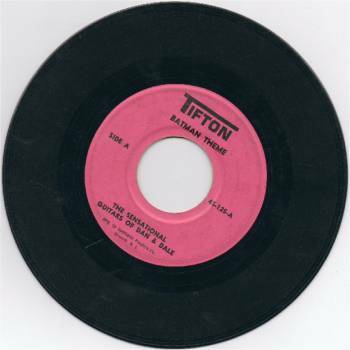 Does anyone have info on the band or this 7"? 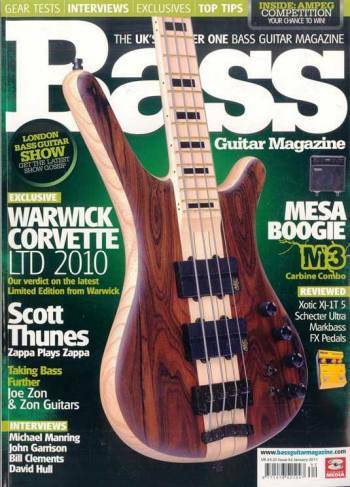 Andrew mentioned it a little while ago at http://www.idiotbastard.com/news.htm : Scott Thunes is featured in the Jan. 2011 issue of Bass Guitar Magazine. So I've added the picture to Scott's entry over at the United Mutations Archives. Over at http://nflguess.com/freakout/, you can watch the trailer for the "Freak Out In Cucamonga" documentary. 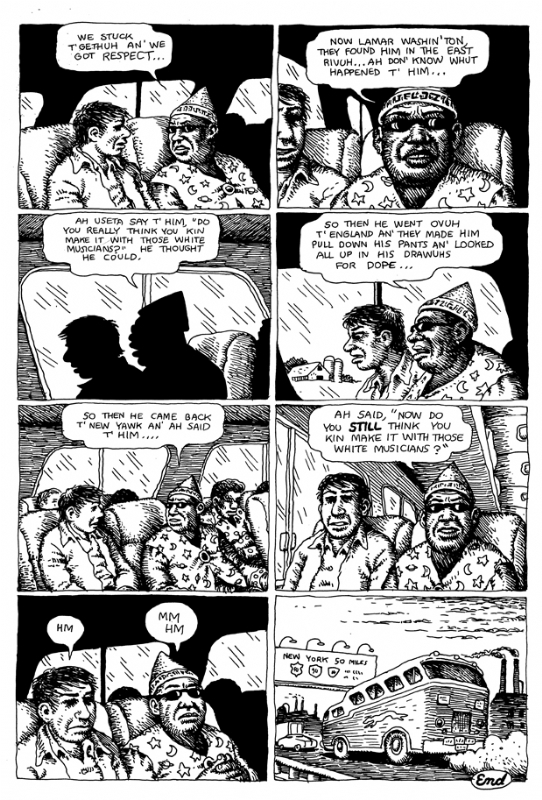 It's the story about Paul Buff & Frank Zappa at PAL. According to KUR and Zappateers, the film "has stalled while in the editing stage". More Beardfish data have been added to the United Mutations Archives. If you haven't noticed it by now, I might as well say it out loud: Beardfish is something that you need to investigate. 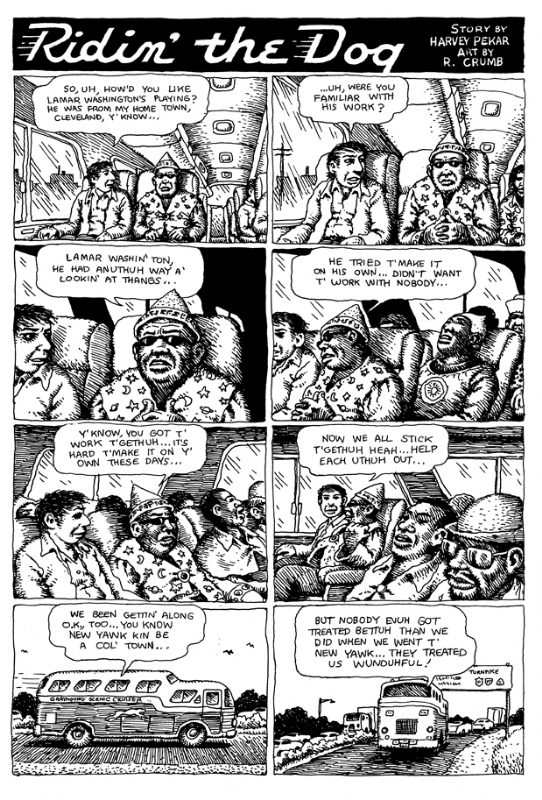 The "Sleeping In Traffic" saga got released in two parts: the first volume came out in 2007, the second one in 2008. 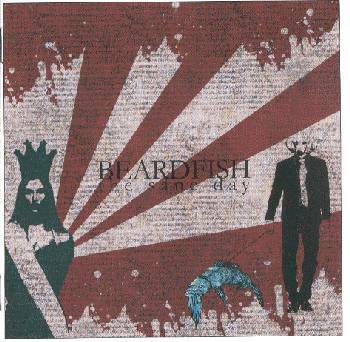 Beardfish makes adventurous prog rock, mixing it with nice zappa-esque twists and turns. 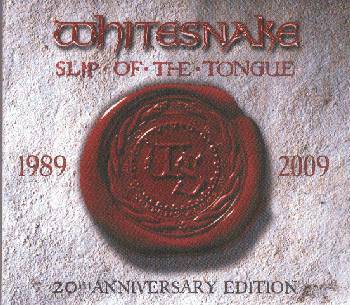 In 1989, Whitesnake released "Slip Of The Tongue", an album on which Steve Vai played an important role. Guitar wrestler Adrian Vandenberg had been injured and couldn't play, so David Coverdale hired Steve Vai to do the job. It worked, and "Slip Of The Tongue" became a classic. Tapping in on the 20th anniversary of this succes, EMI released a special edition last year. The bonus material is translated into 6 bonus audio tracks, and a complete bonus video disc. Among other things, the DVD video disc includes the three promotional videos ('Fool For Your Loving', 'Now You're Gone', and 'The Deeper The Love'), a performance (two actually) from the Donington festival in 1990. My favourite ten seconds of this album is the opening of 'Kitten's Got Claws', where Steve lets his guitar make cat noises. Over ten years ago, Dweezil Zappa played the guitar solo on Carmine Appice's 'Dead Wrong'. 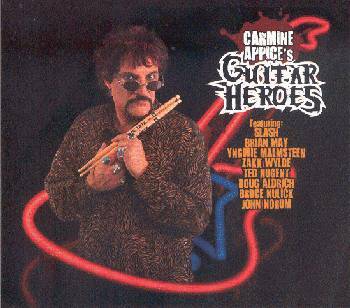 The track got included on Carmine Appice's "Guitar Zeus 2" album in 1997. 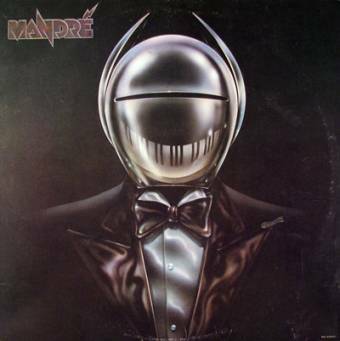 The very same track, 'Dead Wrong', has been re-released / recycled by Carmine Appice on a number of occasions. It can also be found on his recent "Guitar Heroes" album. 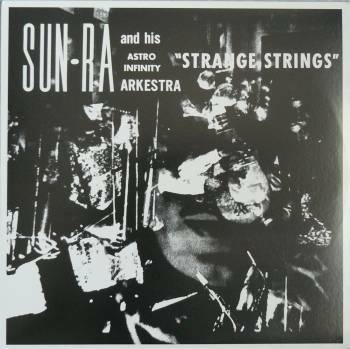 In 2005, the Transparency label released a number of DVDs with Sun Ra recordings with high historical value. I mentioned these before, but here are some more details. 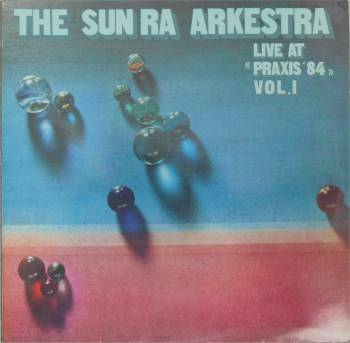 Volume two in the series presented fragments from French tv from 1970, the complete 1986 tv broadcast of the East Berlin concert, and the incredible 1983 West Berlin concert by the Sun Ra All Stars. The overall quality of these recordings isn't too good. The French TV part is out of sync, and the 1986 concert is from a nth grade video tape, and even the All Stars concert isn't top video quality, but as I said earlier: these recordings have hight historical value. 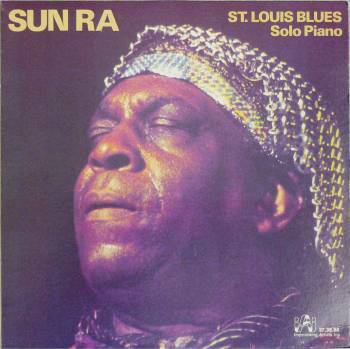 As far as I know, these are the best-known recordings of these performances, and if you're into Sun Ra, you really need to see this. And while we're at it, might as well add another Lester Bowie gem: The Art Ensemble Of Chicago with 'No Woman No Cry'. Graphic artist and sculptor Helmut King has produced a number of Zappa inspired works. 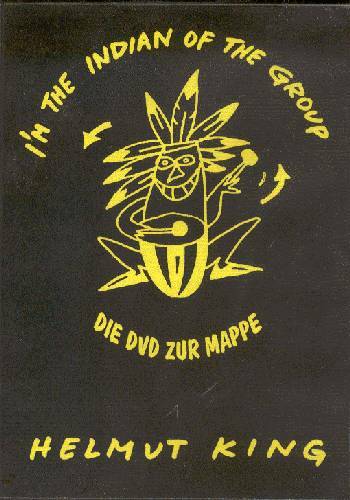 In 2000, he released an art box entitled "I'm The Indian Of The Group" (a tribute to Jimmy Carl Black). The box included a pair of drum sticks (signed by Jimmy Carl Black, a CD-Rom with a.o. 4 songs and an interview with Jimmy Carl Black, 10 silkscreen prints by Helmut King, and a letter by Urban Gwerder. The box and all of the artwork were a part of the 2009 Jimmy Carl Black exhibition in Bad Doberan, as part of the Zappanale festival. Last year, Helmut King released a DVDR that included a documentary on the 2000 art exhibit, concert & presentation of his Jimmy Carl Black tribute. It's a beautiful item (another fine RR Production) and includes a fine bunch of extras. 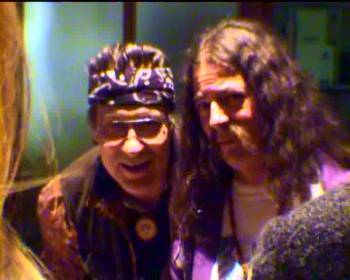 Below is a screenshot from the documentary: Mothers' roadie Kanzus J. Kanzus and Urban Gwerder at the art exhibit! 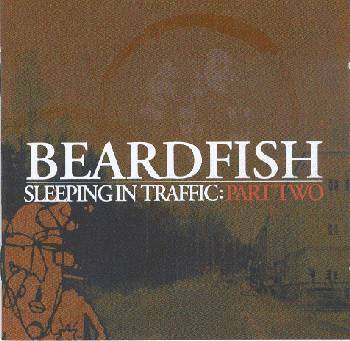 "The Sane Day" is Beardfish's second album. It got released by the band in 2006, and got picked up by the Swedish Progress record label in 2007. "Zappa sounds nice, "Apostrophe" then "Grand Wazoo". My happy thoughts are seldom true, but they're painless." This is another great album. Progressive rock music, but with a nice dose of Zappa. Lots of great tracks on this CD set. My favourite is 'The Gooberville Ballroom Dancer" where the Ol' Fart Scientist Man decides that he has to run some tests on ballroom dancer Dwight to see where his success with the Cheerleaders Inc comes from. Jean-Luc Ponty is featured on the latest Chick Corea album! The 2CD album has already been released in Japan, and will be out in the US in June. Outsider musician and graphic artist Matt Koegler was credited by Frank Zappa for coining the phrase 'Mothers of Prevention' on the 1985 release 'Frank Zappa Meets the Mothers of Prevention'. Matt has been working with Zappa cover band Bogus Pomp since 2000 doing various graphics and since 2009 has been editing and creating art for CD format for Bogus Pomp and others that are available for free at his website, http://www.mattkoegler.com/. 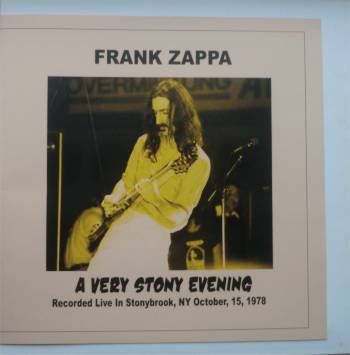 A new Zappa vinyl bootleg album has been spotted: "A Very Stony Evening", a 1LP album on the Rubber Dubber label, and available in gold, red, blue, purple and multicoloured wax. There's also a 'limited to 50 copies' 9 LP bootleg box, entitled "Optional Entertainment". Milwaukee band The Danglers have been heading the Zappafest in Milwaukee since 2000! John Sparrow was a member of Violent Femmes from 2004 until 2007, and he used to play with Eugene Chadbourne as well. 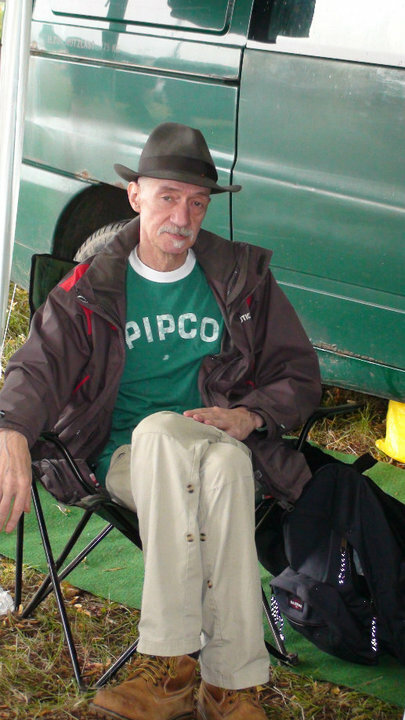 I just learned that fellow Zappateer John Nowak passed away a couple of days ago. Les Fils de l'Invention will have their next meeting at the "Divette de Montmartre" on January 20, at 136 rue Marcadet, métro Lamarck. Volume 5 of the Rondo Hatton Report is out. And last but not least, Arf! will be performing on the Antipode boat in Paris, France, on the 25th of February. four electric guitars plus electric cello, bariton saxophone and analog synthesizer. THE NEW FIDOPLAYSZAPPA ALBUM IS OUT ! FiDOplaysZAPPA’s brand-new acoustic album “Too Big To Fail” (17 acoustic tracks) is out! The DrumChannel website is back. Here's Terry Bozzio hosting a show with Gannon Arnold and his all-stars band. XTC – Are you receiving me? It looks like the Mosae Zappa Festival that will be held in Maastricht (NL) will be the place to be on May 6 and 7. And now it looks like both french guitar virtuoso LiLo and german band Tarentatec have confirmed as well. 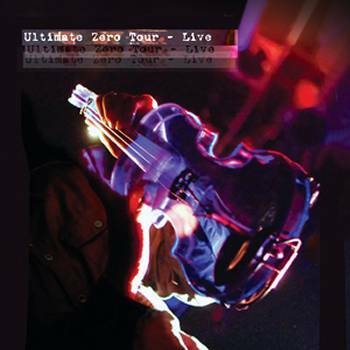 Eddie Jobson latest project, UKZ, or Ultimate Zero, has a new album out. It's a Japan-only release: 2CDs with material that was recorded in concert (in Poland, Russia, and the US of A). 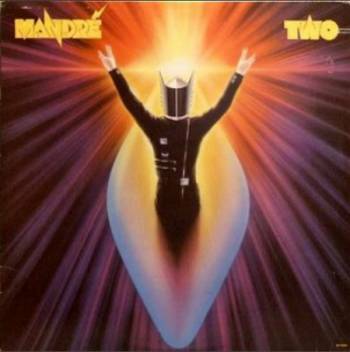 Featuring Eddie Jobson, but also John Wetton, Tony Levin, Greg Howe, Trey Gunn, Ric Fierabracci, Simon Phillips and Marco Minneman. Recorded in 1974, originally released in 1979 and now reissued with seven minutes of material originally edited out. Available both on CD and on LP. 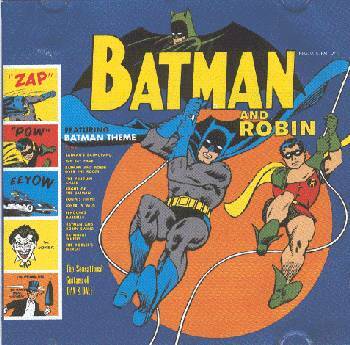 The French Klimt record label will be re-releasing The Sensational Guitars Of Dan & Dale's "Batman And Robin" album on vinyl. 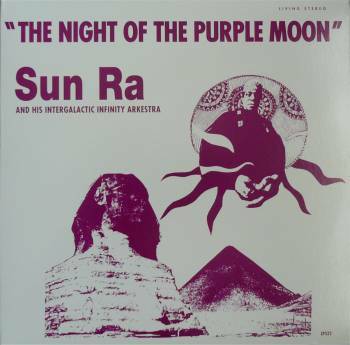 As Sun Ra and his Arkestra participated in the recordings, it will be re-released as a Sun Ra & The Blues Project title. 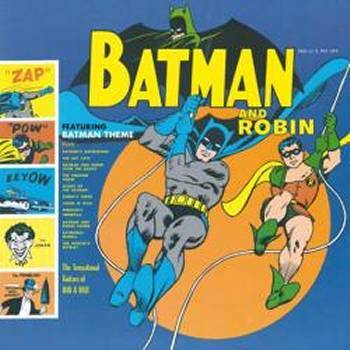 "This novelty album, released in 1966 during the height of the Batman & Robin craze, was initially credited to the "The Sensational Guitars of Dan and Dale" and featured an album full of tracks based on the popular TV show like "The Batman Theme Song", "The Penguin Chase", and "The Batcave". The album is entirely instrumental, except for someone singing "Batmaaaan!" in the theme song. 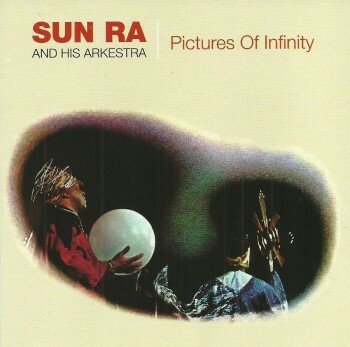 But the interesting thing about this album, and what makes it an absolute cult gem, are the musicians who are behind it all: basically a joint collaboration between Sun Ra's Arkestra and Danny Kalb's Blues Project (one of the first psychedelic rock bands as well as one of the world's first jam bands). "Dan and Dale" were actually blues guitarist Danny Kalb and Steve Katz (later of Blood, Sweat & Tears) on dueling guitars, while Sun Ra and Al Kooper take over organ duties (a Hammond B-3) and members of Ra's Arkestra play sax. All I can think of when listening to this record is how much fun these guys, all formidable musicians, must have had putting it together. Gatefold deluxe edition." 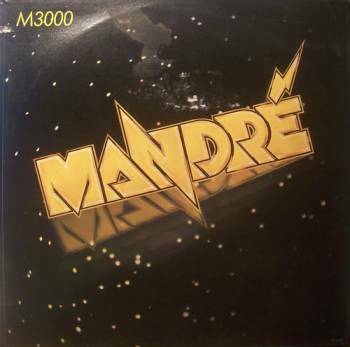 I've added the set of album covers to the Mandre (Andre Lewis) discography over at the United Mutations Archives. The Vinyl Lovers record label is releasing "Live At Praxis '84" as a 2LP set. Released as three seperate albums in 1985 by a Greek label, and re-issued in 2000 as a 2CD set by Leo Recrords, the recordings now also find a home on a 180 gram 2LP set. I've added a lot (!!) 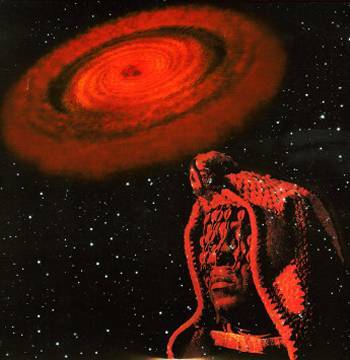 of Sun Ra album covers to the Sun Ra discography section. YOUR BAND AT ZAPPANALE ?